PayPal File Download for WordPress is the easiest way to sell digital content. 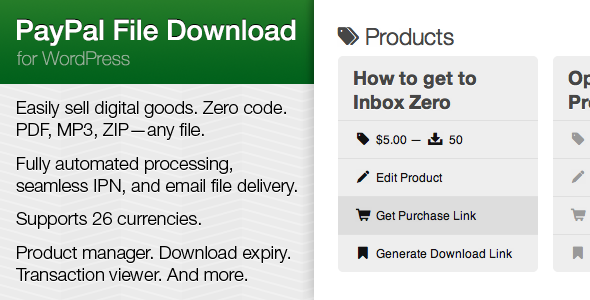 Easily sell and automatically deliver e-books, PDFs, ZIPs, and any other kind of file to your customers—with built in IPN , email delivery, and download expiry. Share the post "PayPal File Download WordPress Plugin"